All listed performances have at least one source from those below. One or more programmes were found for 28% of works, mostly in Britain. Some were present in Margaret's effects, most of the others in collections at the British Library. 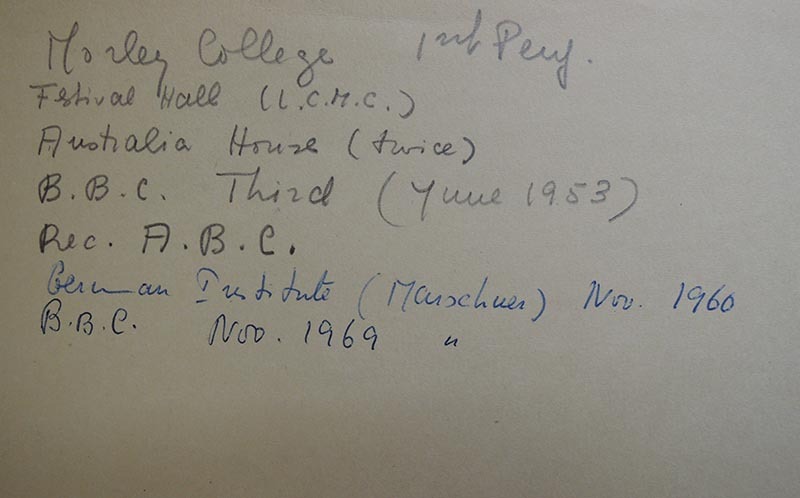 Many programmes for SPNM concerts, in which Margaret played frequently, are missing from the BL collections, particularly for the earlier years. The British Music Collection in Huddersfield acquired the SPNM archive but it is uncatalogued and not currently accessible. Listings in Radio Times between 1923 and 2009 are available online in the BBC genome. Out of 237 radio broadcasts that identify Margaret as a performer, 76 give no details of the works performed, and some of the others have incomplete information. We have researched these at the BBC Written Archives Centre. This research has also identified some broadcasts of Margaret's for which the BBC Genome does not give the perfomers. There are 47 taped broadcasts in the British Library Sound Archives, though many do not identify the programme. Reviews were found for 28% of the works, the majority in The Musical Times or in British and Swiss newspapers whose archives are searchable online. Scores with Margaret's annotations were available for 20% of the works in the Performances list, in addition to others that Margaret probably performed but have no annotated performances. Almost all are held in the Margaret Kitchin collection at the Royal Academy of Music. 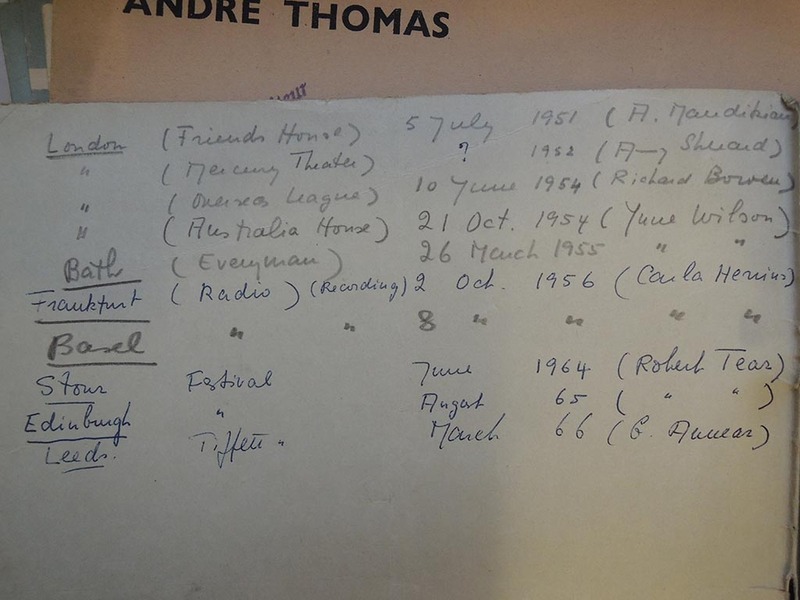 From the handwriting, alterations and insertions, and occasional errors in the month or year, we can deduce that the entries were often made many years later; see for example Goehr sonata no.2, Banks violin sonata, Henze concerto and Tippett's The Heart's Assurance. Recordings exist for 5% of the works. Margaret did not make many commercial recordings and the majority are taped from BBC radio. The Lyrita Recorded Edition Trust has released one radio broadcast on CD (the Hamilton concerto); we hope further releases will be forthcoming. A catalogue of works by 54 British composers born between 1891 and 1923, in three volumes. Gives details of all known first performances (f.p., f.broad.p, f.Brit.p., etc.) of these works. Accounts for 5% of the works. Contains information taken from the BBC Programme-as-Broadcast log. Accounts for 4% of the works. Less complete than the volumes above, as premieres are not always indicated in the logs. Our own scrutiny of the logs (see above) uncovered a few errors and omissions. History of a long-running series of contemporary music concerts in Bern. Includes peformances by Margaret between 1942 and 1950, accounting for 9% of the works. For two concerts in which another pianist took part we are unable to deduce which part of the programme Margaret played; these works are listed in other repertoire. 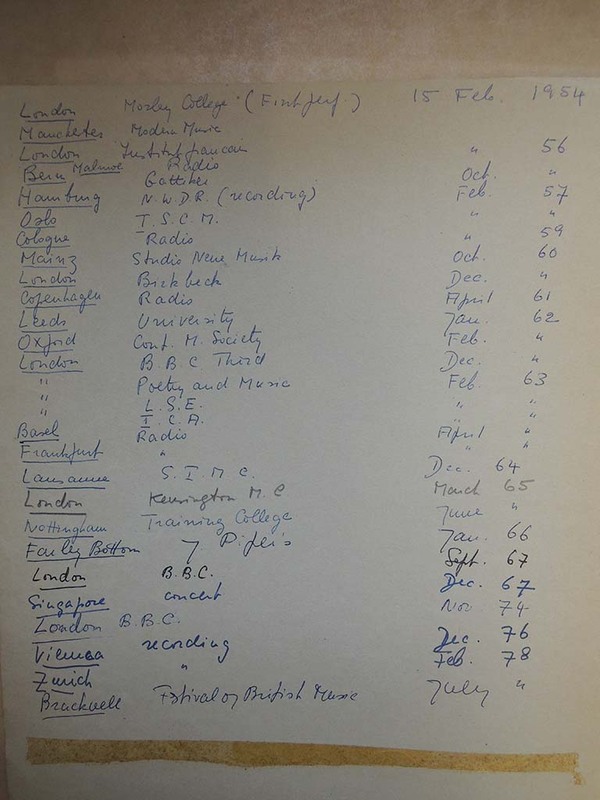 Some information on Margaret's performances in Switzerland and Europe in the 1940s was found in letters held by the BBC Written Archives Centre. Advertisements, articles, books, and catalogues. 5% of the works have no other source.